As more people quit smoking cigarettes, other forms of smoking – like hookah – are gaining popularity. Hookah pipes allow users to draw tobacco smoke through water, so some people may think it’s a “healthier” alternative to cigarettes. But research shows that may not be the case. 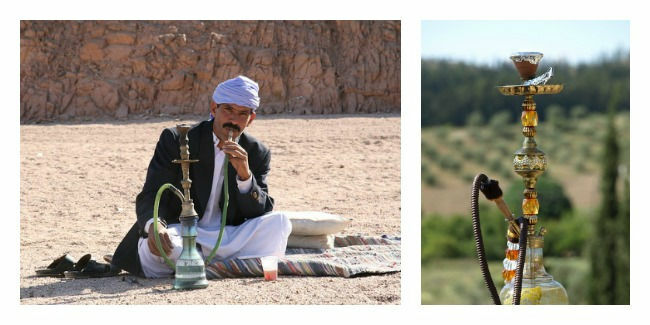 Hookah smokers inhale large amounts of toxins. In fact, just one hookah session delivers 25 times the tar of a single cigarette. Tar is the main cause of lung and throat cancers among smokers. Surprised? o Truth: Water pipe smoking delivers nicotine — the same highly addictive drug found in other tobacco products, the Centers for Disease Control and Prevention reports. Myth: Hookah smoke isn’t as bad as cigarette smoke. o Truth: The tobacco in hookahs is exposed to high heat from burning charcoal, and the smoke is at least as toxic as cigarette smoke, according to the CDC. The charcoal used to heat the tobacco can raise health risks by producing high levels of carbon monoxide, metals, and cancer-causing chemicals. Myth: Hookah smoke is filtered through water so it filters out the harmful ingredients. o Truth: Smoking tobacco through water does not filter out cancer-causing chemicals. Water-filtered smoke can damage the lungs and heart as much as cigarette smoke, a brochure from the University of Maryland explains. So, what do you think? Will you think twice before picking up the hookah pipe?